Presne som to sem išiel pisať Máte niekto šajnu prosím? Leonko píše: Presne som to sem išiel pisať Máte niekto šajnu prosím? Prosímvás, nezná někdo písničku která hraje v(S08E12) "The Final Page"? Music causes stress to disappear, making mood better. Keno Online is a game that is popular among gamblers to play a certain level, how to play today is easy to play just the Internet can run. But before that to play KENO to play casino games, but for now it is a simple thing that you can play at home or anywhere, just your device must be connected to the Internet only. Then it will make you enjoy, excited about it. And how easy it is to play. Keno Online uses the same rules of playing KENO in the real casino and KENO playing. How to play it really needs to be targeted and make a straight line to mark the points in the number between one and twenty. And that number that you marked matches the number of twenty that you have captured the most. And it's up to you how to choose KENO in any way. And besides, you also choose Keno, 20,10,5 or other combinations, it depends on you. 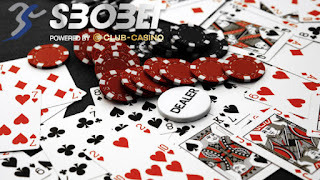 Keno online is essentially the difference with the KENO playing in the real casino, it is playing in the casino, then you will experience theGCLUB จีคลับ number of ball format similar to the numbered table tennis ball. But when you come to play online, the service provider will generate numbers to make from the computer system. And the software that Keno Online will use will be used as a modern software, with random table tennis ball determination to ensure that customers are randomly transparent.